That outspoken patch of greenery with built-in bocce courts, chess tables, Scrabble zone... and (not to forget) its own triumphal arch. Washington Square is quite a surprising fragrance. Why? Well, it doesn't contain many floral or woody notes, as most Bond fragrances do. Instead, it greets me with a suave leather note, sweetened and softened by Honey. The Leather isn't too rough or dark, but it does smell a little powdery and has a vintage feel about it. 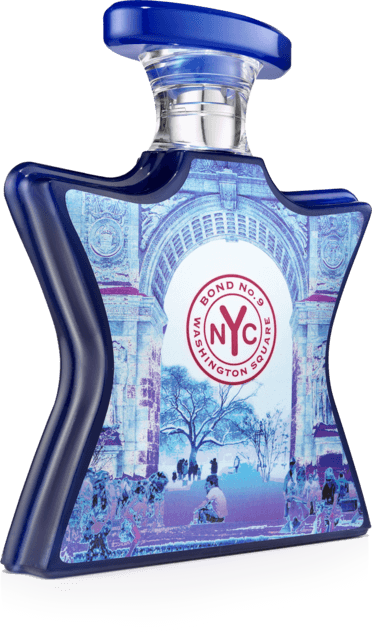 Together with the Rose, the Leather makes Washington Square smell like an upscale version of an antiques shop. Charming, vintage yet modern. A mix only Bond could get so right!